Joanne Yatvin writes in The Washington Post the importance of giving students the time to read independently and the choice to pick which books to read. 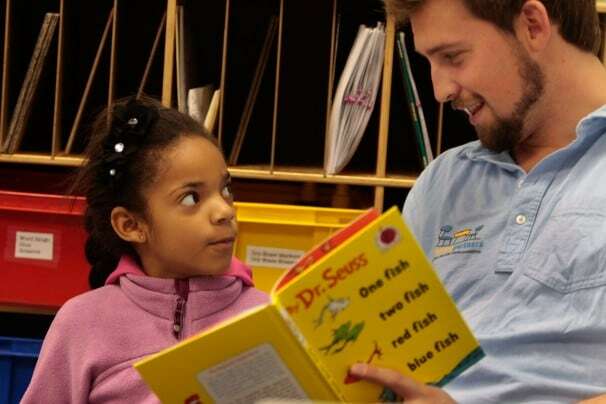 Leslie Mercedes, 6, reads with Cameron Lineberger, site coordinator for Reading Partners, at Brightwood Education Campus. The nonprofit group, a Washington Post Charities grant winner, provides tutoring for children reading behind grade level. Consumed by the urgency to raise students’ reading scores, policy makers and school officials have forgotten that children learn to read by reading. Acquiring the habit of turning to books for pleasure or to find out what you want to know does more for reading development than working on decoding words or trying to speed up fluency. Although, ideally, a fondness for books starts at home, reading can become a habit through opportunities to read self-chosen books at school. One person who understands the importance of the reading habit is Carmen Farina, the new schools chancellor in New York City. She has long supported “balanced literacy” instruction, which includes independent reading. In many places, including New City, this approach to teaching reading has been abandoned in favor of systematic programs that promise to raise students test scores and prepare them for “college and the workplace.” According to several recent articles in The New York Times and other sources, Farina is determined to restore at least one of the key components of “balanced literacy,” independent reading, in city schools. Back in the 1960’s and ‘70’s, daily sessions of independent reading called “Sustained Silent Reading” (SSR) were popular in classrooms everywhere. In line with recommendations from reading experts, teachers allocated 15 to 30 minutes to it every day. There were no written assignments or tests attached, just the visual and soundless evidence that students were immersed in their reading. Nevertheless, 50 years later it’s hard to find classrooms anywhere that still include SSR. To a great extent, enthusiasm for the practice was undercut by the 2000 report of the National Reading Panel, which found little evidence to support its effectiveness in the few research studies that met their criteria. What the panel did not make clear, however, was that doing research on any practice that had not been converted into a structured and testable teaching method was very difficult, and thus seldomly undertaken. As a teacher in the heyday of SSR, I can tell you that problems in classroom implementation also undermined its popularity. The main one was that SSR cut deeply into instructional time at the high school level where classes were only 45-50 minutes in length. Ironically, time was also a problem for students, but in a different way. Many of them were irritated by having to stop reading on command just when they were at an exciting or enlightening part of their book. The third problem was a shortage of appealing books in classrooms, especially in high poverty schools where most students didn’t have the alternatives of bringing books from home or buying them. Today, many teachers and school principals, like Farina, who know the value of the reading habit would like to revive independent classroom reading, but the term SSR is tarnished, and the problems noted above still exist. On top of that, many policy makers are calling for a longer school day to increase formal instruction. They would certainly yell louder and longer if precious classroom time were once again devoted to independent reading. 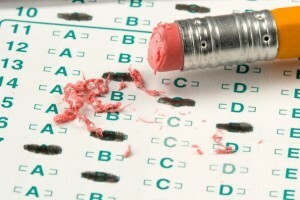 Nevertheless, there are ways to get around the inside problems and the outside criticism if school really try. At the elementary level, where classroom time is fairly flexible, teachers can stretch the reading block and even extend independent reading into the teaching of other subjects. At one school where I was principal, teachers had their students reading two books at the same time. One book was teacher assigned and used for group instruction; the other was self-chosen. When students were not meeting with the teacher or working on assignments, they were expected to read silently in their chosen books. Also, the only homework assigned was independent reading, with different amounts of time designated for each grade. If I were Queen of the World, I would decree that all students be given the gifts of time and books they want to read throughout their schooling, and all pre-readers would have an adult who would read aloud to them everyday. Through independent reading children gain a wealth of background knowledge about many different things, come to understand story and non-fiction structures, absorb the essentials of English grammar, and continuously expand their vocabularies. Many also remember visually how to spell words.In a nutshell, the habit of reading does as much, if not more, than Direct Instruction and the rigorous demands of the Common Core. All without boring kids to death or persuading them that they’re dumb. My name is Jamie Squillare, an elementary school teacher who promotes independent reading to young students. For more updates on the education sector, follow me on Twitter. Way before The Hunger Games and Divergent series, there was The Giver. The award-winning novel tells the story of Jonas, a young boy living in a seemingly perfect world free from pain and suffering. In time for the film adaptation’s release, The Daily Beast talked to author Lois Lowry about the lasting influence of her dystopian novel. When it comes to dystopian, young adult fiction, Lois Lowry was the trailblazer. Before Divergent, before The Hunger Games, there was The Giver. Most of us millennials remember the 1994 Newbery Medal winner as the standout book on our junior high’s required reading list. It made us question the dangers of conformity, and whether stifling the urge to stand out from the pack was really such a good idea. In a community that honored sameness over individuality, a boy named Jonas learned the truth—and quickly became our hero. What’s more is that the story hits that sweet spot where both kids and adults can identify with its themes. One of the American Library Association’s most challenged books of the ‘90s, The Giver has become an indisputable classic. The upcoming film touts an all-star cast. And if the trailer is any indication, Meryl Streep plays a chillingly accurate Chief Elder. But as the hype surrounding the movie heightens, many are curious about the writer behind the story. Where did the idea for The Giver come from, and how involved was Lowry in the screen adaptation? Above all, most readers have one particular concern in mind—does the film do the book justice? Lowry was kind enough to weigh in. Read on for a glimpse of her writing process, her role in the film, and what she thinks of Jeff Bridges. Growing up, your books were among my favorite. The Giver was one of those books that I read as a kid and then re-read again as an adult and found that I was still just as moved by it. I hear that often from people who read it as kids. And now sometimes they’re reading it again as adults because they have kids who are reading it. And other times, just like you, they come across it again when they’re all grown up. And they seem to get different things out of it at different ages. No other reading affects you in quite the same way that the reading you do as a child does. As a writer writing for a younger audience, do you ever feel a sense of pressure knowing that what you’re writing is sort of shaping them? Not pressure, but I feel a sense of responsibility. So I don’t do what I do lightly. I’m aware that it affects some kids very profoundly. But as somebody who has also written for adults, I have a greater sense of responsibility to the young reader because of how profoundly their lives are sometimes affected by what they read, which is a good thing. I never as a reader have been particularly interested in dystopian literature or science fiction or, in fact, fantasy. I had been writing for young people for a long time at that point and most of them were realistic fiction, a couple historic fiction. But what happened was that my father was very old and was beginning to lose his memory and I was thinking a lot about memory, the importance of it. And in fact, memory is something that has always interested me, as well as something that sort of goes into the same category—and that is dreams. And I have written a book that focuses on dreaming, but in this particular instance I was thinking about memory and what would happen if we could manipulate human memory. And of course when I set out to write about that, I realized that it had to be set in the future. So that threw it into a realm of sort of science fiction, but that had never been a realm I had ever had an interest in before. It sounds like it was more of an organic journey in terms of where the story took you. Are you a writer who sits down and outlines things beforehand? Or do you just let it take you? I’ve never been able to do that. I know people who do that very successfully. But I find that if I outline a book and know exactly where it’s going in every chapter, which is a very orderly way to go about writing, then when I sit down to write it, I’m bored with it because I’ve already put my creative imagination into the outline. People who have read The Giver either say it’s one of the most powerful books for kids ever, or it’s inappropriate and should be banned. How do you feel when you hear these types of things? It’s rarely been banned. It’s often been challenged, and the two things are different. When a book is challenged that means a parent has made an objection to the book and there are procedures that one has to go through. But most often, it’s reinstated. 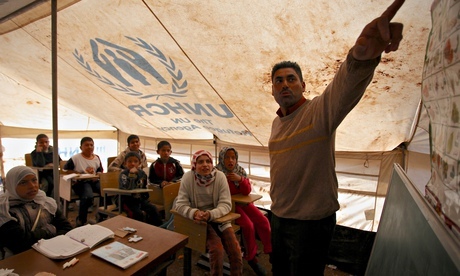 It’s very rare that a challenge is upheld and a book is removed from a school. But in either case, I’m always still surprised by it. Certainly now when here are, in the aftermath of The Giver, a number of dystopian novels, which involve a great deal of violence. And The Giver does not. So I think it falls into a realm that’s fairly mild in comparison to today’s literature for young people. And I think it’s less often challenged now, of course it’s been around for a long time. But I think that people who have challenged it sometimes are kind of vague in their reasons for the challenge. But I think it probably stems from the fact of a child, a 12-year-old child in the case of The Giver, standing up and fighting the authority of the adult world. And that feels threatening to some parents, I think, that a child should take that role and challenge the authority of the adult. With it coming to film, how long has that been in the works? The making of the movie of The Giver has been in the works for close to 20 years, although the actual filmmaking process didn’t start until a year ago. But Jeff Bridges bought the rights to the book, I think it was 18 years ago. He intended at first to use it as a movie to star his father in the title role. His father was an actor, of course. And then his father subsequently died and time passed and it was never made, never made. And now, of course, he’s old enough to play the role himself. And he does it very beautifully. Were you involved at all in the screen adaptation? I was not. There was nothing in my contract with the filmmakers that gives me any control whatsoever. And so theoretically they could have gone out and made the film without ever being in touch with me. And legally, that would have been okay. However, they showed I think an enormous amount of courtesy toward me and did include me, and sought my advice again and again and again. In the early days, when they were still casting it, they sent me clips of screen tests for one of the actors to get my opinion. They sent me clips of music when they were hiring a composer. And they brought me to South Africa to be on the set when they were filming. And since that time, I’ve been down in New York to the editing room and I’ve had a private screening, so those are all courtesies that they were not required to extend to me, and I’m very grateful that they have. When they’ve asked my advice, I’ve given them my opinion. And they haven’t always taken it but that’s as it should be. They’re the filmmakers, I’m not. But I’ve enjoyed the process of being able to peek in at what they’re doing. Was that surreal to you, to see the story playing out and to see the characters with your own eyes in a private screening? What was that like? Well, I saw a screening of the whole film [in May], but along the way before that, I’d seen it in bits and pieces and I’d seen part of the filming of it. So it wasn’t surprising. It was nice to see it all put together. And no, it wasn’t strange because I’d been part of the process for the past year, and so it was gradual. And I was well aware that they had had to make some changes. The book is not very visual, there’s not a lot of action. And so I knew from the get-go that they would have to add action, which they have. So there are some things that are different, but the basic elements of the book are there and they’re well handled, I think. And they’ve tried very hard to represent the themes of the original book. I think Bridges himself, from the beginning, it was his kids who had brought the book to him. And he saw it for what it was and for what it meant and he’s tried to maintain that even though they’ve had to make some changes. Jamie Squillare is an elementary school teacher and an avid reader. Learn about her favorite books by following her on Twitter. When was the last time you saw a high school student truly invested on the curriculum’s required reading materials? If you ask the regular high school literature teacher, the answer is, not often enough. Did you really read To Kill a Mockingbird in high school or just read Spark notes? I think our sheepish answers to these questions are where YA books come into play as a helpful educational tool. Do not get me wrong, I believe reading the classics is like discovering a treasure trove, but how do you make youth appreciate the classics when they resist getting to know unrelatable characters whose adventures are narrated in such an archaic manner. Indeed, most of the youth think the classics could very well be foreign language treatises. 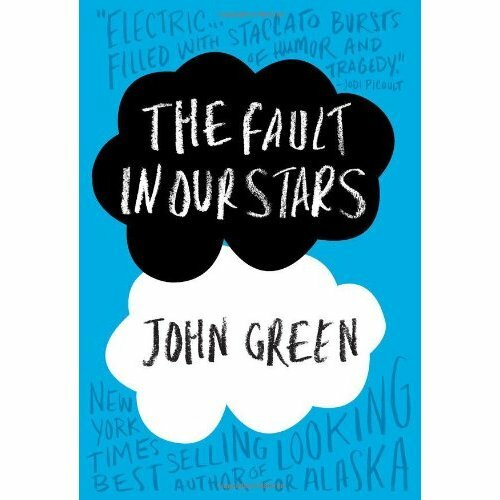 The key element of YA books is what makes it relevant to society: their intended audience falls in the 12-18 age range. YA books capture the interest of teenagers, making reading less of a chore and more enjoyable. They make students less resistant and more curious, therefore increasing literacy and awareness of proper grammar for a generation DAT WRITES LYK DIS. YA books also make hard-to-deal-with issues digestible for teenagers. Want teenagers to understand death and cancer? Make them read John Green’s The Fault In Our Stars. How about coping with the loss of a loved one through suicide? A book from the same author, Looking for Alaska, might be the best psychological voice to intervene. I’m Jamie Squillare, a literature teacher from Boston, Massachusetts who aspires to make her students love reading outside the classroom. 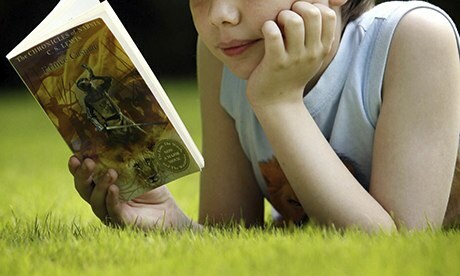 For similar articles about encouraging reading, visit this blog. Who doesn’t love Neil Gaiman, right? I stumbled on this article in The Guardian that discusses the famed author’s view on why and what children should read. Believe me, you will love Mr. Gaiman more after reading his explanation below. Gaiman now lives near Minneapolis in the US and said the same debates were taking place there, although places in the US “were closed with less pride” than they are in the UK. The Reading Agency’s director ,Miranda McKearney, said the lecture was part of what is “an urgent debate about how to build a nation of readers and library users” and cited OECD figures that showed Britons aged 16 to 24 ranked 22nd of 24 countries in terms of literary skills. Hi there! I’m Jamie Squillare, an elementary school literature teacher from Boston. If you also believe that we should encourage kids to read books they love, let me know on Facebook. I love hearing from other like-minded individuals. Thanks to Bloomsbury and illustrator Jim Kay, a new breed of readers will get to experience the magic of JK Rowling’s expansive wizarding world anew through the September 2015 release of a fully-illustrated version of the Harry Potter books. 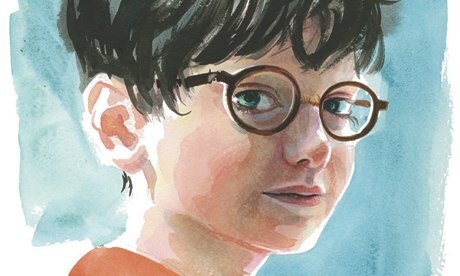 This article from The Guardian has the scoop on the commissioned book illustrations, which will see Harry looking more like Daniel Radcliffe, the actor who played Harry in the movies. JK Rowling’s bestselling boy wizard is due for a makeover, with the launch of award-winning illustrator Jim Kay’s fully-illustrated edition of Harry Potter in 2015. The first in the series, Harry Potter and the Philosopher’s Stone, is slated for publication in September 2015, and publisher Bloomsbury will release each of the subsequent titles annually, re-creating the original publishing schedule which started in London in 1997, and so successfully developed readers as they, and Harry and friends, grew older together. Illustrator Kay has reimagined Harry for a new generation of readers, in a style that nods to Daniel Radcliffe’s portrayal of the boy wizard in the film versions of the novels, and captures the character of Harry in the books. Kay, who won the Kate Greenaway Medal for his illustrations of Patrick Ness’s A Monster Calls in 2012, said “the commission of a lifetime” brought “an explosion of delight, followed instantly by an implosion of brain-freezing terror”. The artist described picking a favourite character from Rowling’s universe as “like trying to choose the shiniest object in Aladdin’s Cave; you pick up one treasure, and another gem catches your eye”, adding that his imagination is captured at the moment by building a Hogwarts “supported by magic – it’s harder than you’d think”. 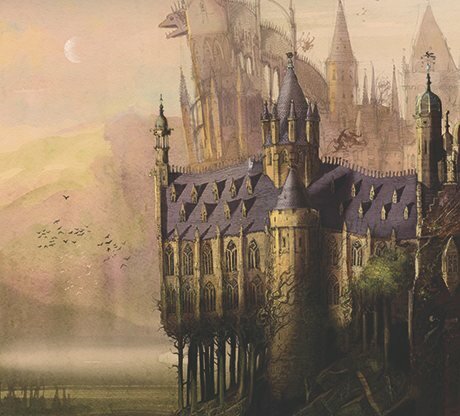 Bloomsbury is working with publishers of Harry Potter all around the globe in an attempt to schedule simultaneous global publication of the series. The Harry Potter novels have sold 450m copies worldwide and have been translated into 74 languages. The Harry Potter books are a shared favorite among elementary school literature teacher Jamie Squillare and many of her young students. Visit this blog for more of her thoughts on primary school education and literature.